In this episode of Coffee Break Italian you’ll learn more ways to ask questions and understand information. We cover opening and closing times and complex directions to help you cope on a trip to Italy. In this latest episode of Coffee Break Italian you’ll learn to use Italian in the context of taking public transport and understanding train and bus departure and arrival times. As usual, you’ll build on what you’ve learned in previous lessons and develop your confidence further in Italian. In lesson 20 of Coffee Break Italian you’ll continue to learn useful words and phrases to deal with buying tickets for public transport. You’ll also join Katie in a conversation which puts to the test much of the Italian you’ve learned so far on the course. 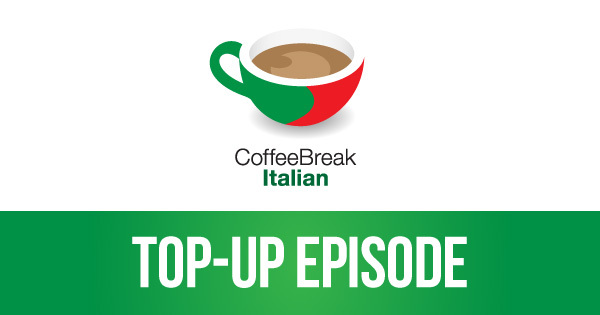 In this special “top-up” episode of Coffee Break Italian, Mark will test you on some of the words and phrases you’ve learned so far in the series with some translation challenges. Bentornati! We’re back with another lesson of Coffee Break Italian. If there’s one topic which everyone loves talking about, it has to be the weather. It’s a great conversation starter, and it also will help you plan your activities while travelling in an Italian-speaking country! In lesson 21 you’ll learn to talk about the weather. 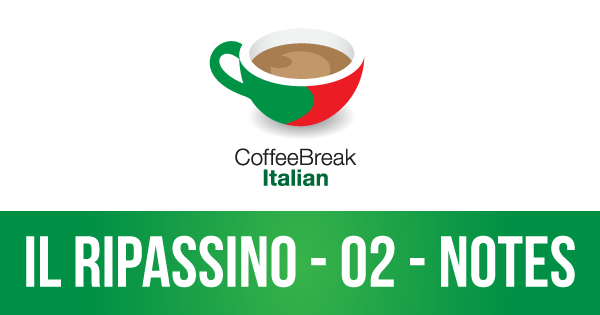 It’s time to continue our topic of aches and pains as we take our next steps in Italian with Coffee Break Italian. In this episode you’ll learn to describe your symptoms and to understand the recommendations give to you by the doctor or pharmacist. In this episode of Coffee Break Italian you’ll learn more about the patterns of the language and how to form verbs in Italian. We look at the present tense of -are verbs and with this lesson you’ll begin to form a solid foundation in this vital part of the language. You’ll also learn to spell in Italian. 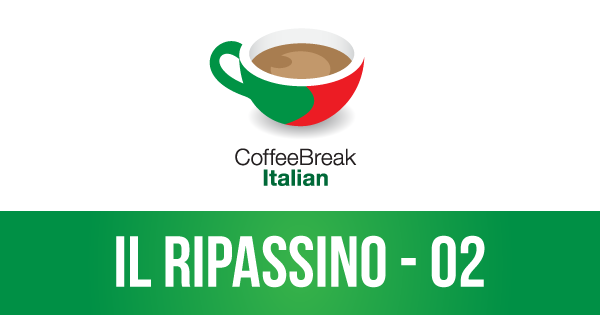 In the latest episode of Coffee Break Italian you’ll be learning the important skill of using the phone in Italian and in the Caffè Culturale, Francesca talks about Italian opera. 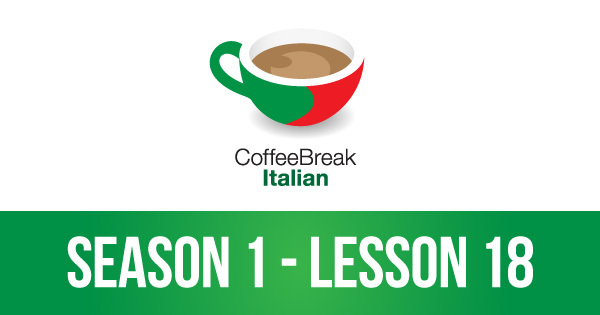 In lesson 26 of Coffee Break Italian you’ll be joining the team to learn more about informal telephone conversations and how to talk about yourself and your family. Making small talk is one of the best ways to improve your Italian and this lesson will help you to achieve this in effective, accurate Italian. In our latest lesson of Coffee Break Italian you’ll learn to talk about your job, to say what you do, where you work and whether or not you like your job. This lesson is another episode in our mini-series which helps you to make small talk with native speakers and improve your Italian in the process. In lesson 28 of our course you’ll learn how to talk more about your job. You’ll also learn to talk about what you like doing – and what you don’t like doing! This lesson will help you to develop your confidence in using Italian and making small talk with native speakers. In this episode of Coffee Break Italian you’ll be learning how to describe people in Italian and use adjectives in their different forms. We even have a challenge for you in our Caffè Culturale. In the latest episode of Coffee Break Italian you’ll be learning to talk about clothes and taking your ability to describe people a bit further. Francesca will put your comprehension skills to the test with an identity quiz in which you have to guess the identity of well known people from her Italian descriptions. As we’ve previously explained, there’s been a delay with the production of lessons 31-40 of the Coffee Break Italian course, but we’re delighted to be back in the studio and bringing you some review content before we record the final batch of ten lessons in Season 1. 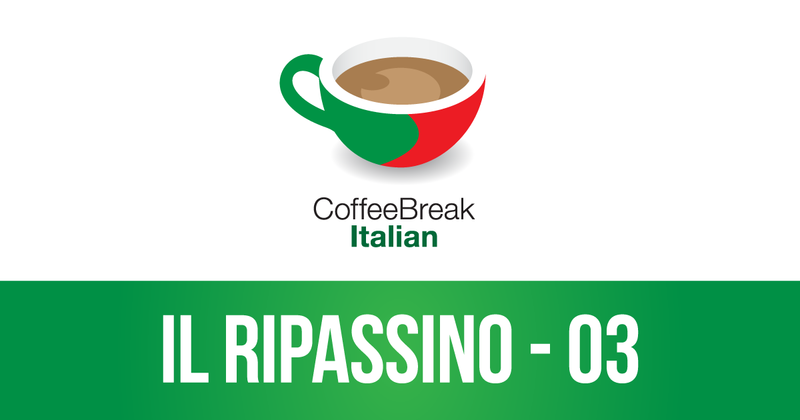 The Coffee Break Italian Ripassino will help you review what you’ve learned. We’re back with the second episode of our Ripassino. This post is only for the lesson notes and comprehension questions associated with the audio episode which you can find here. 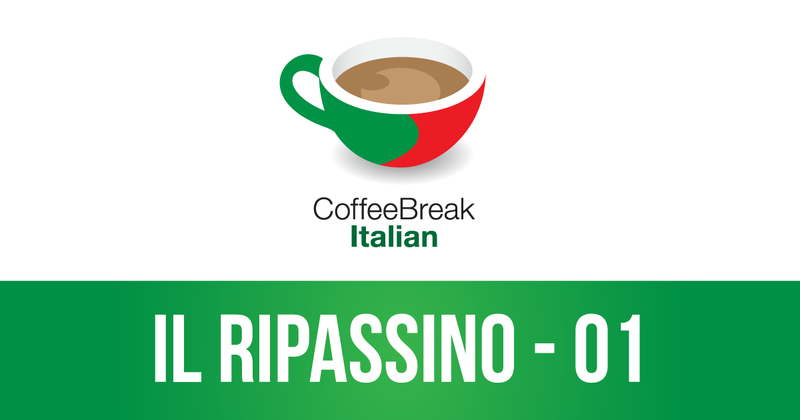 This latest episode of the Coffee Break Italian Ripassino will help you review some of the words and phrases you’ve learned in previous episodes of our course. In this lesson, Francesca, Katie and Mark are focusing on the topic of giving directions. CBI 1:31 | Arriviamo in Italia! CBI 1:32 | C’è un autobus per Stresa? In this episode Katie takes up the sfida (challenge) set by Francesca and speaks to a lady in the information office at the airport to ask about transport options to Stresa. This conversation will give you the chance to review much of the vocabulary you have learned in previous episodes.